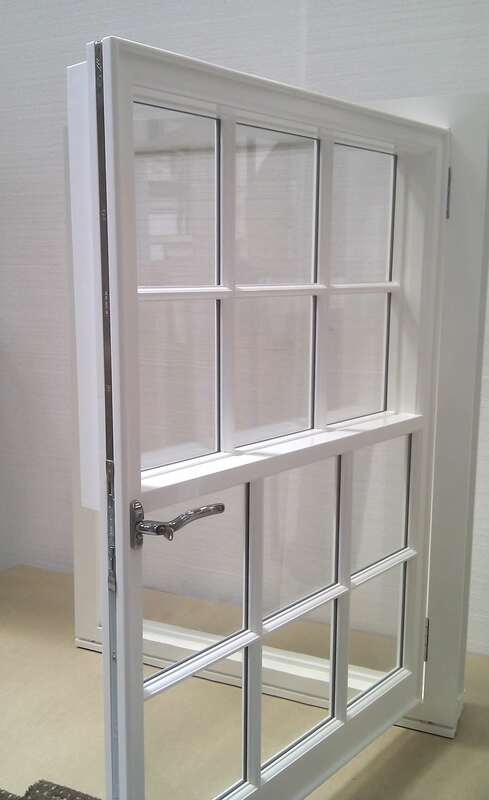 One of the challenges of replacing sash windows on listed buildings is making sure they meet any required building regulations without altering the original look of the windows. 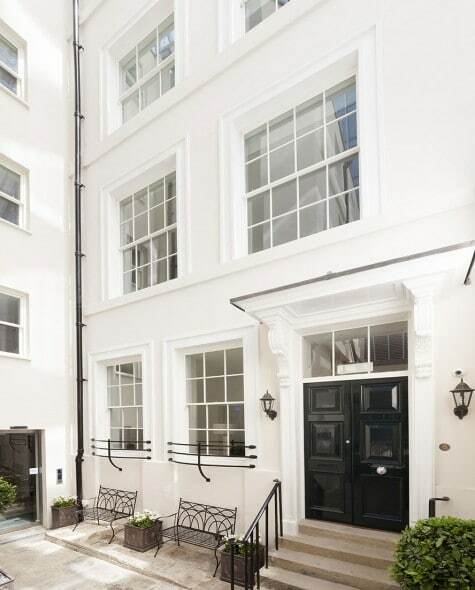 Timbawood were asked to replace the sash windows on a beautiful 5 storey Grade II listed building in Central London that was being converted into apartments, while converting one of the windows into a useable fire exit. 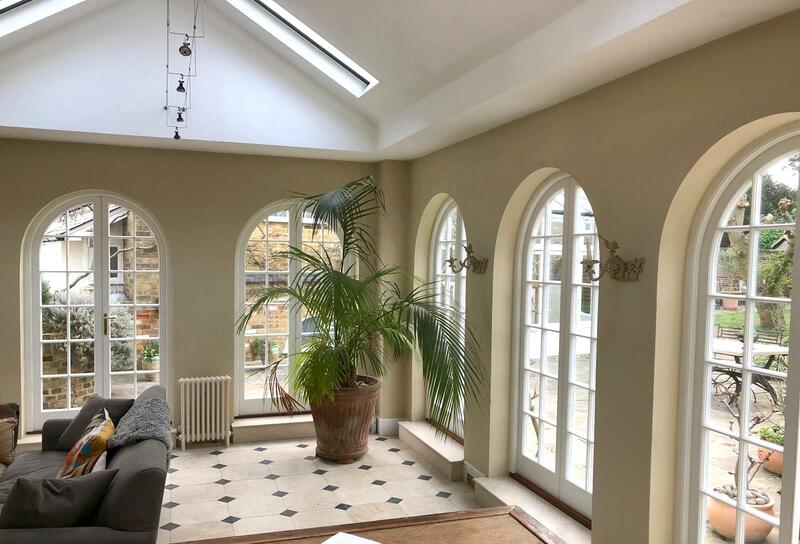 The challenge of this project was that all the windows were being sensitively replaced with exact-match, bespoke sash windows with exact-match mouldings, section sizes and glazing bars, and the fire exit had to match the rest of the windows. 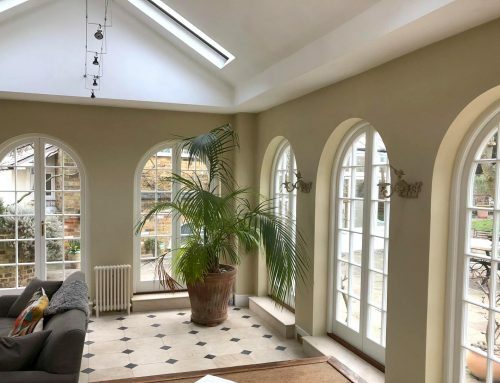 We came up with a solution that maintained the authentic look of the property and the rest of the listed windows, but which enabled access onto the roof in the event of an emergency and also for maintenance purposes. 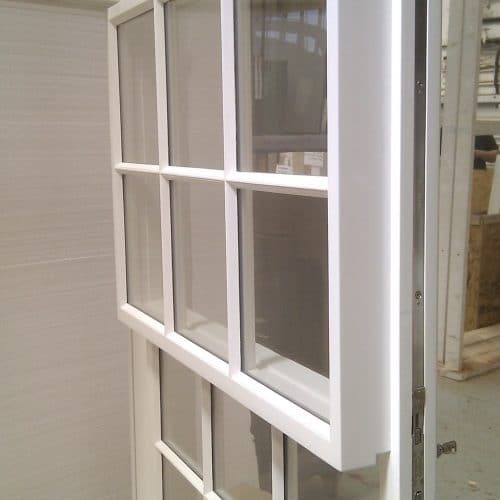 The original sash windows didn’t have a large enough opening to be used as a fire exit, so we created a window that opened inwards like a casement window but with the look, both from the interior and the exterior, of a box sash window. 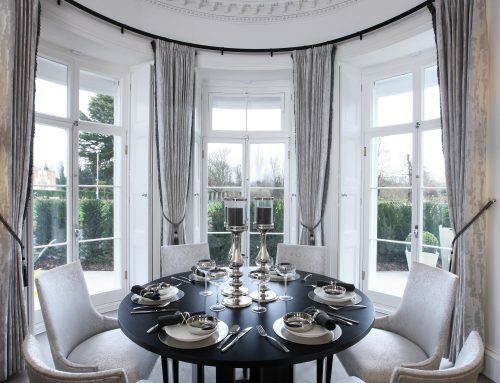 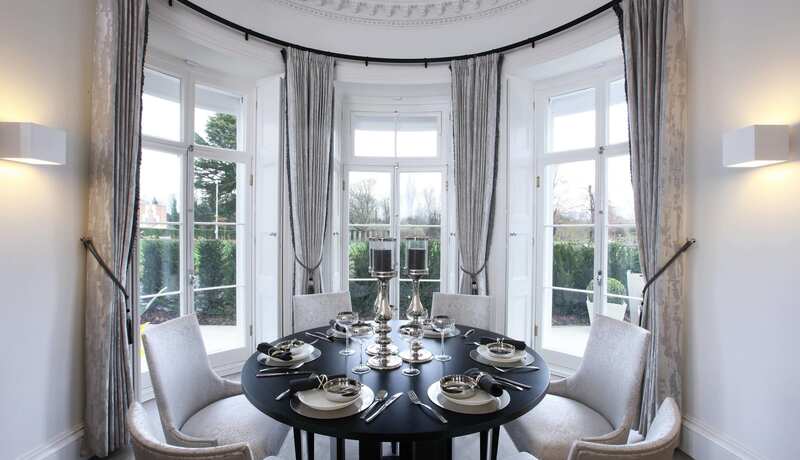 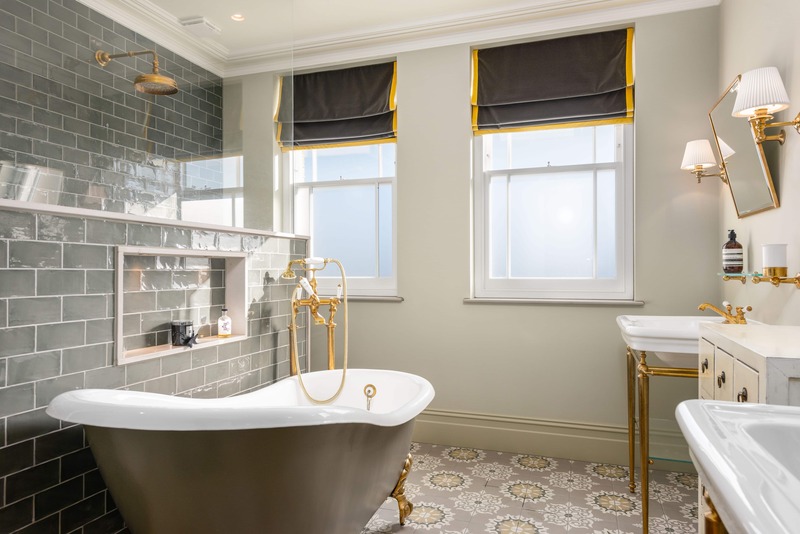 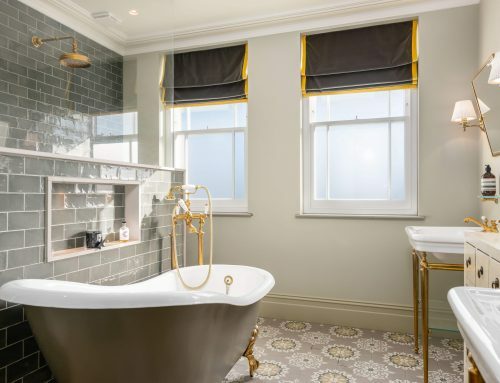 The final design matched the design and specifications of the other sash windows in the property, with slender profile sections, mouldings and glazing bars. 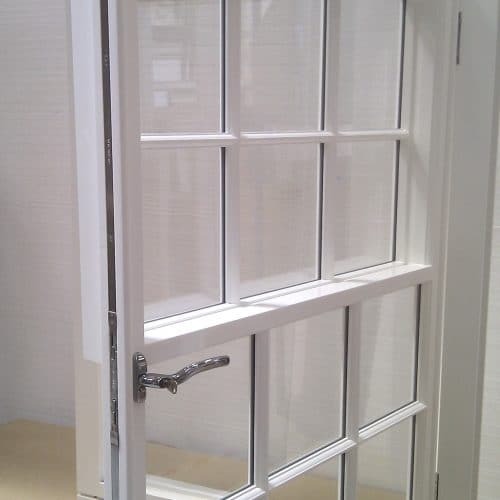 As with the other windows it was glazed with our ‘Timbalite’ slimline double-glazing, that looks just like single glazing, and the outer pane was made with restoration glass, which has the authentic uneven look of the original period glass. 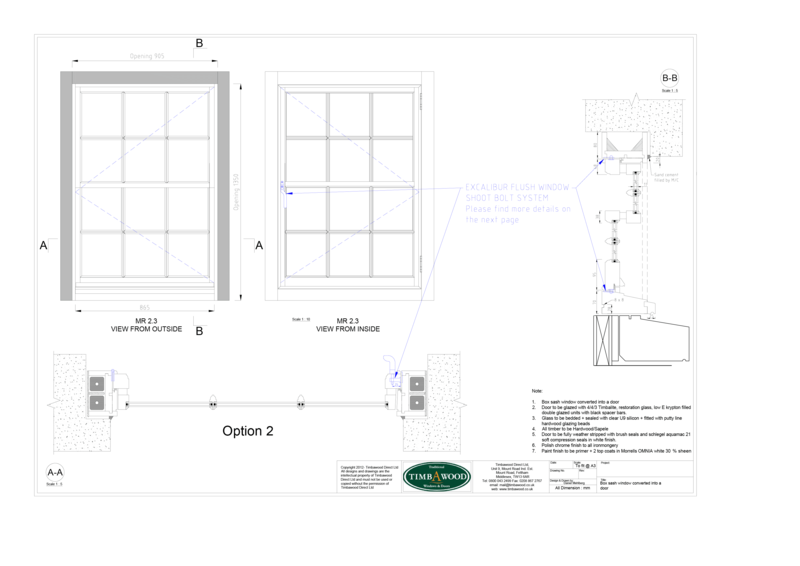 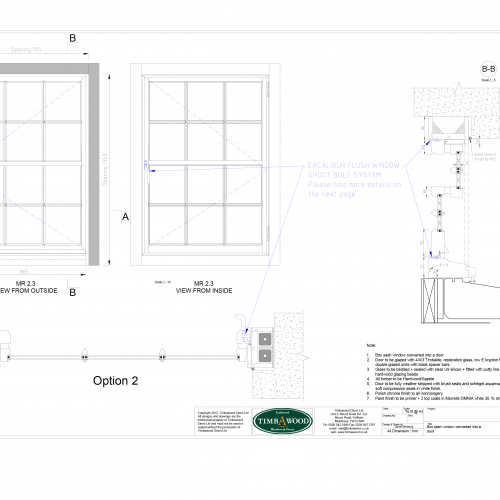 The design included the ‘lower sash’ section being set back from the upper sash section as it would do in a real sash window – to look exactly like the rest of the sash windows from any angle it is viewed from. 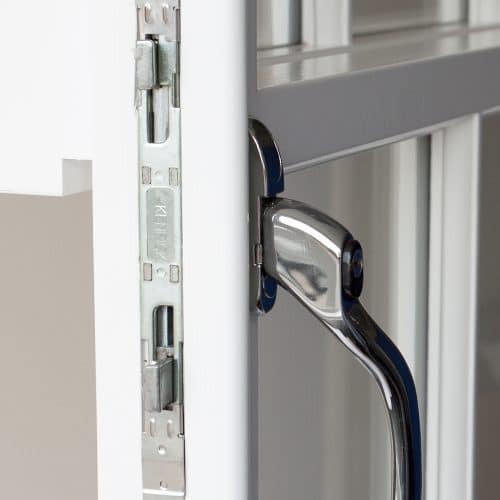 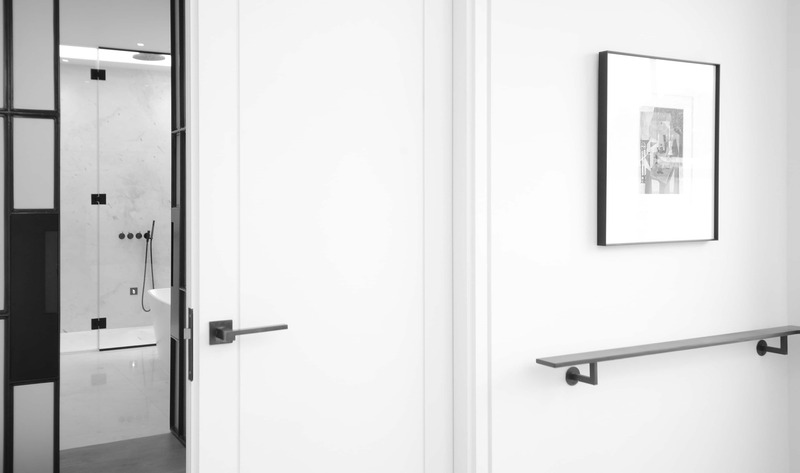 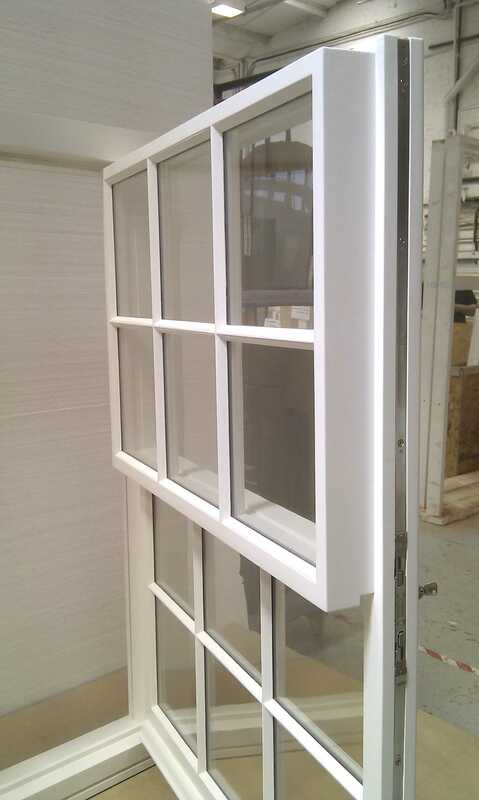 We felt a simpler option of using a ‘flat’ casement window, with a middle transom to look like a meeting rail, would have compromised the integrity of the original architecture. 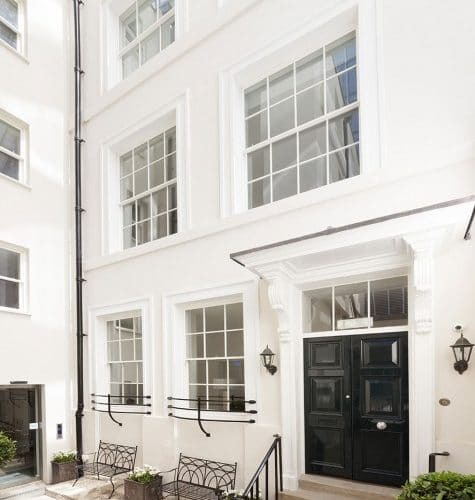 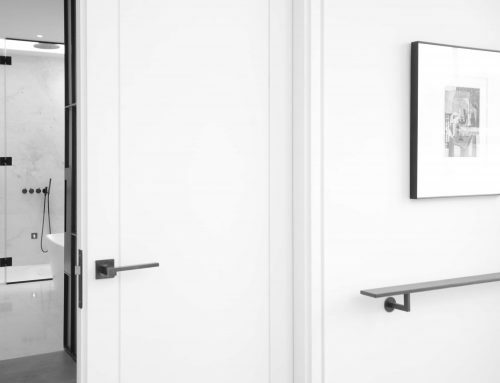 The owners at City Apartments were delighted with the result, and it is a technique that we have used subsequently for a fire escape on another listed property in Central London. 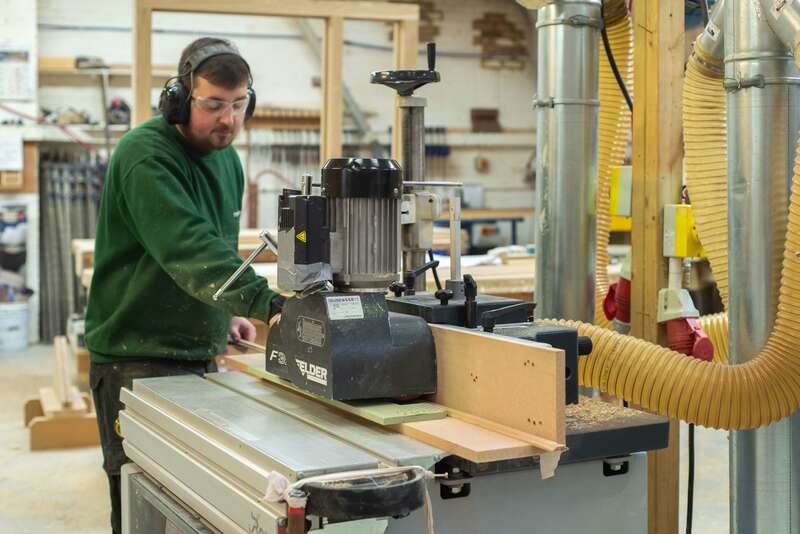 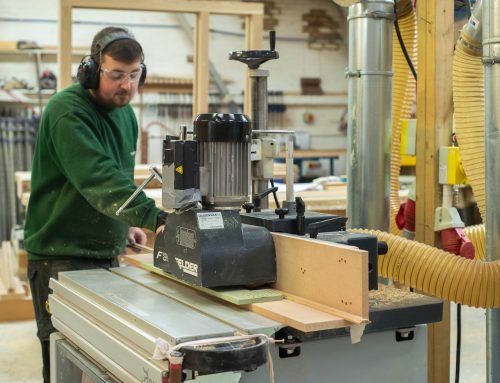 As experts in timber windows and doors for listed, conservation and period properties, our in-house technical team at Timbawood can create identical designs to the originals while updating their security and performance, and can offer creative, bespoke solutions for your property. 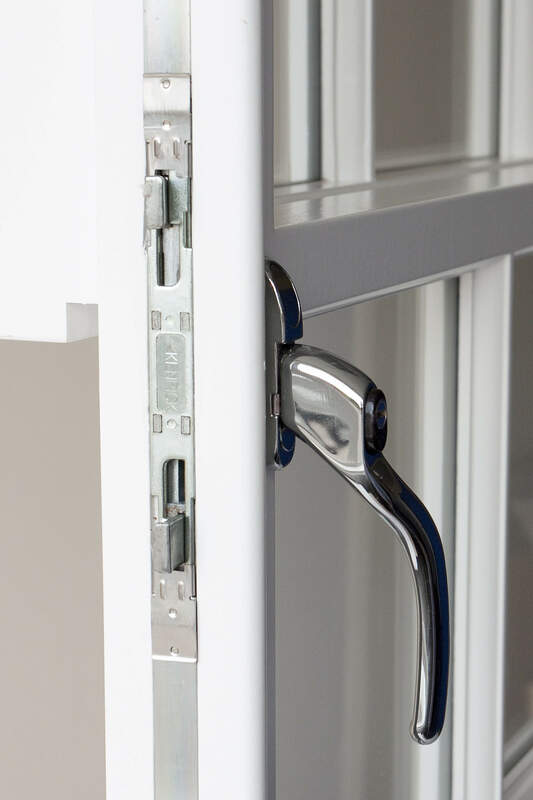 Get in touch if you would like to speak to one of our experts.